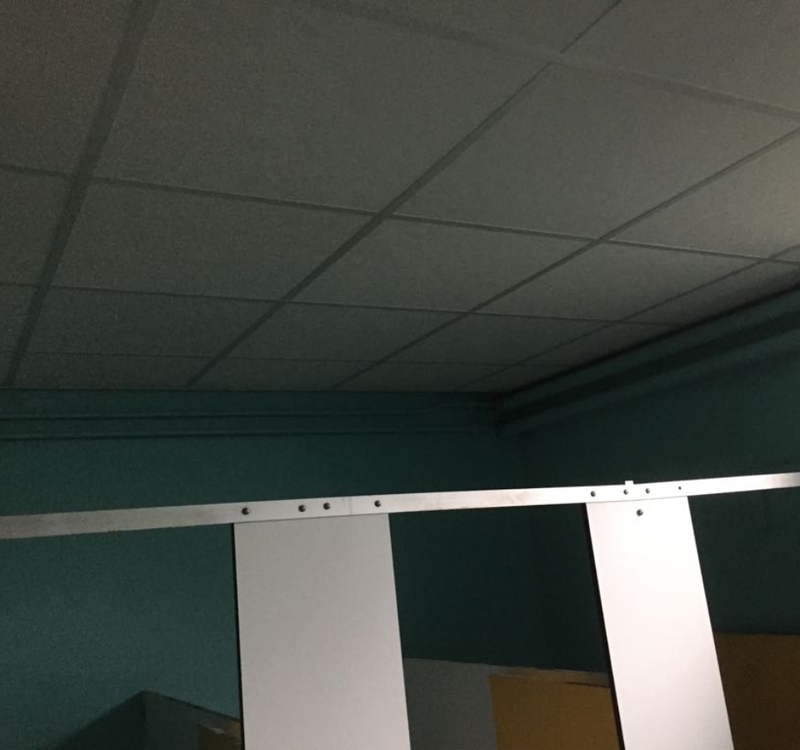 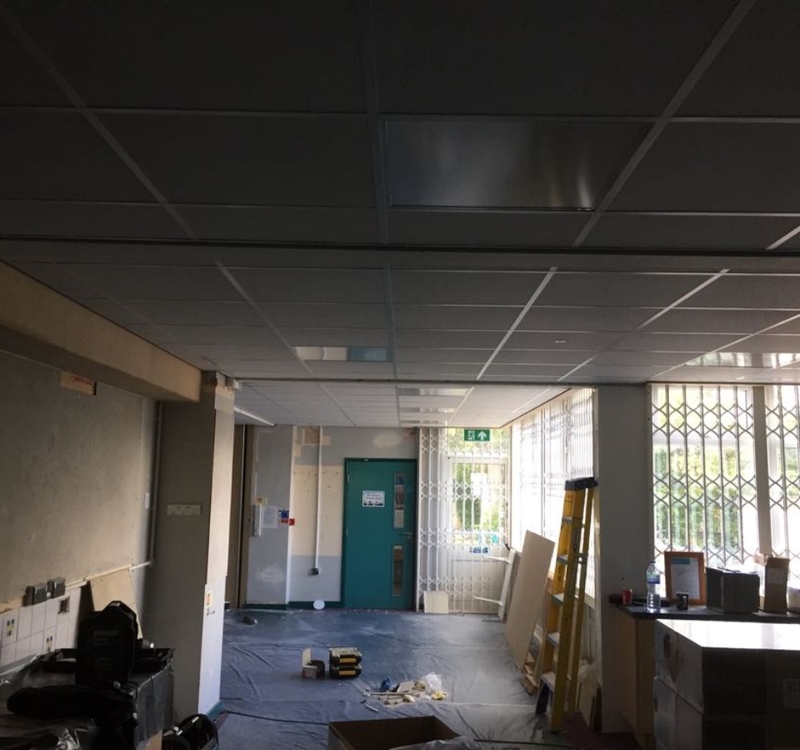 Granmore’s fitters have just finished a job installing suspended ceiling tiles and grid along with lighting into a community centre In Bolton. 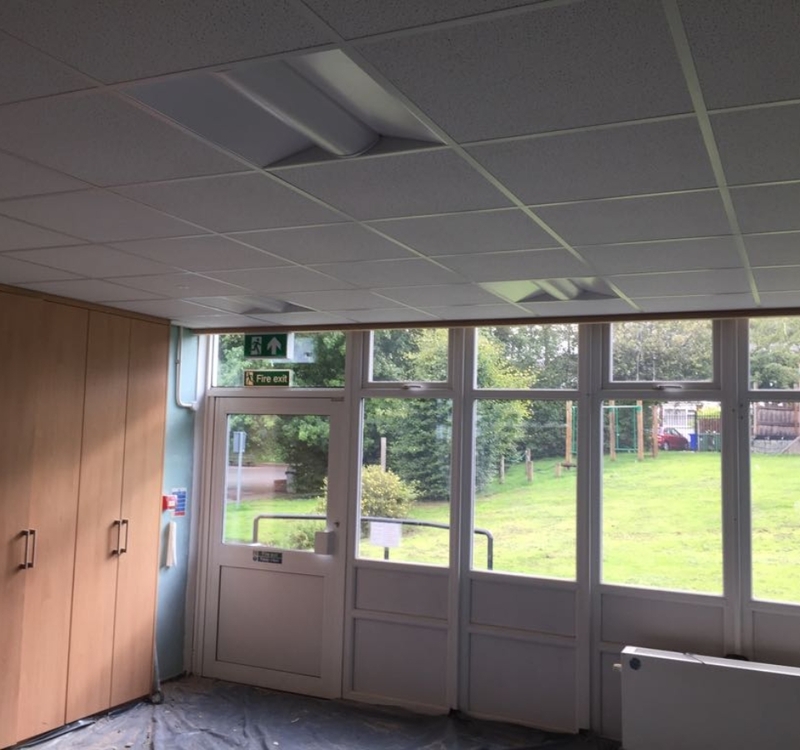 The customer was redecorating the space which had not been done for some time. 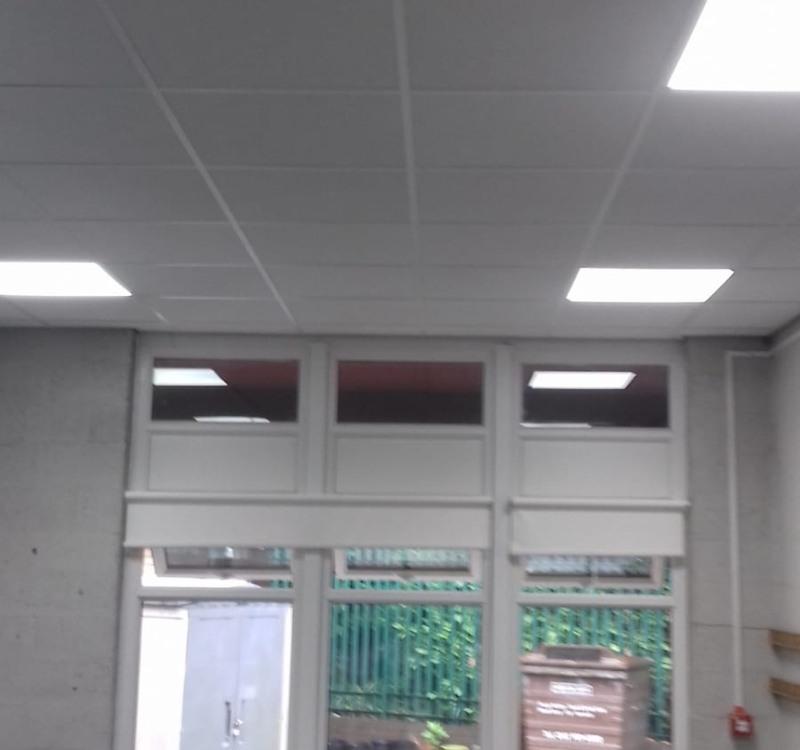 As part of the refurbishment they wanted the stained and damaged ceiling above covering with our vinyl faced suspended ceiling tiles and white grid to give the shop a smooth clean finish. 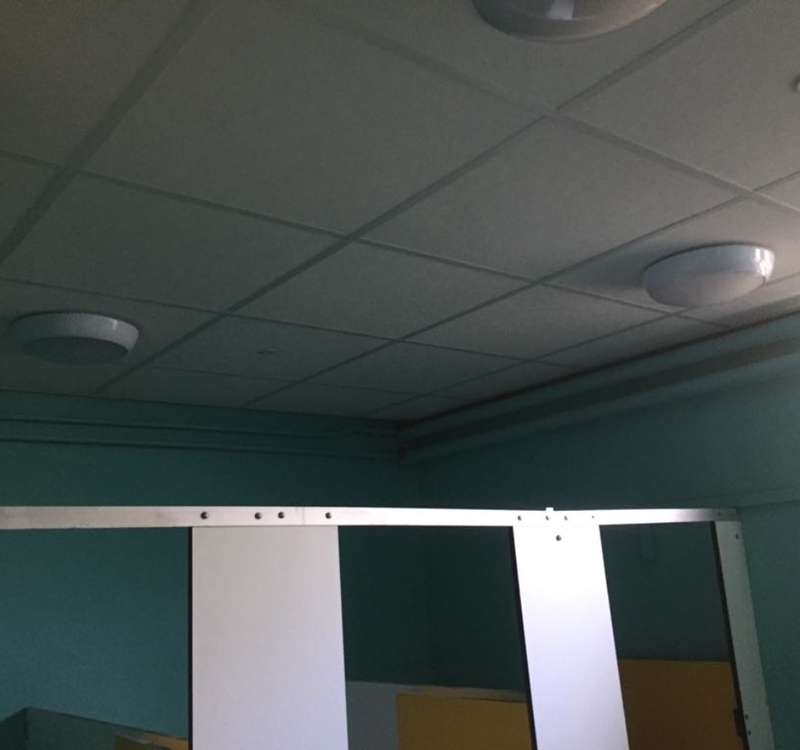 Our fitters also installed the LED panel lights which light up the area a lot better while using a lot less power. 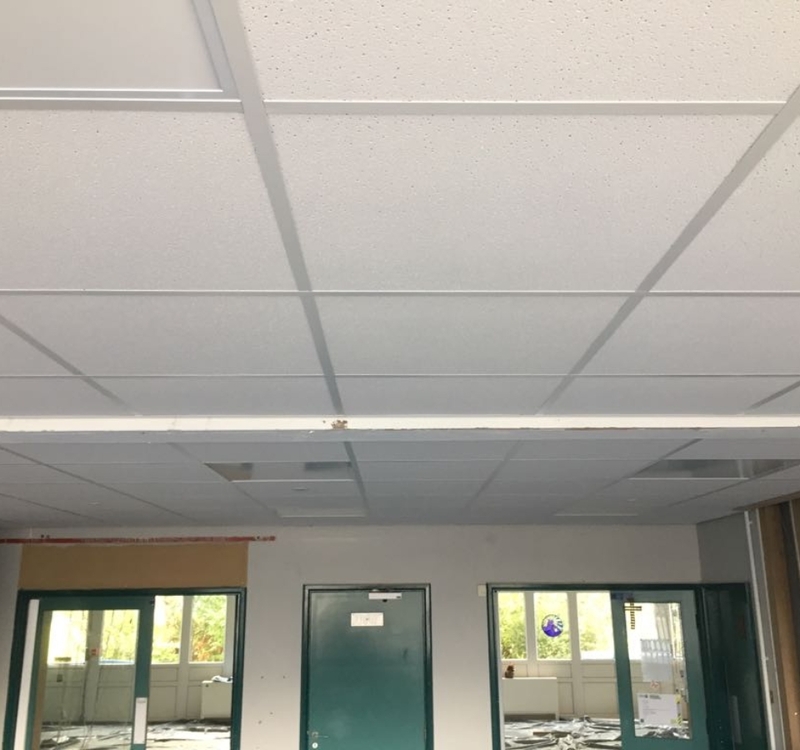 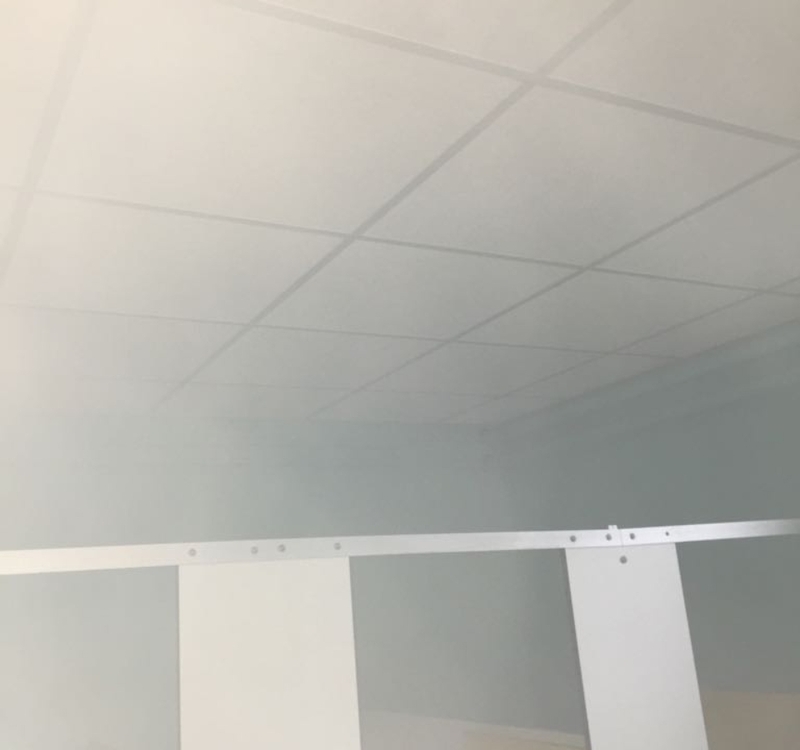 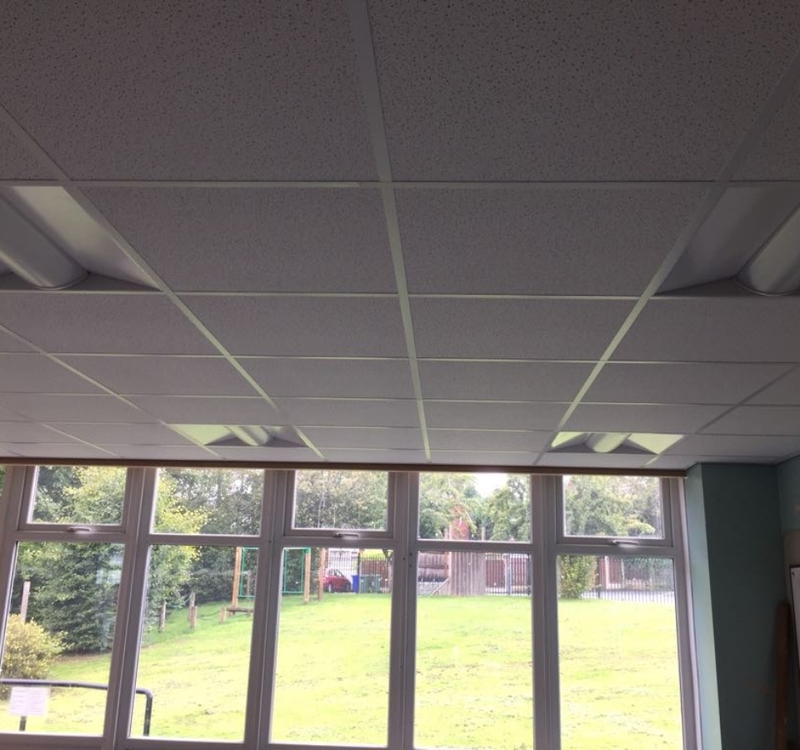 The customer is very happy with the results and recommends having suspended ceiling tiles fitted as they are easy to install and look great.